People often don’t appreciate how large South America is. For example Brazil is larger than Australia and that’s just one country within South America! Trying to fit in all the major highlights of South America into a 2-3 week itinerary is near impossible and even if you did manage it you’d spend precious little time actually enjoying yourself and more time on aeroplanes. So, generally for people with 2-3 weeks available I suggest concentrating on 2-3 countries at most. For example you could spend at least three weeks in Peru without running out of things to do. Peru isn’t just Machu Picchu – the capital Lima is rich in history, being the original conquistador capital for South America. The Southern coast is also often overlooked with some amazing sights like the Ica grape growing region and Huacachina Oasis, the Ballestas Islands, The Nazca Lines, the “White City” of Arequipa and Colca Canyon – one of the world’s deepest canyons. The Northern Coast line has one of the world’s largest archaeological ruins in Chan Chan (build by the Chimu people) as well as the fascinating Kuelap ruins (built by the Chachapoya people), Andean towns like Cajamarca, one of the world’s most spectacular mountain ranges in the Huaraz area and some beautiful beaches in the Mancora. Colca Canyon. Photo credit: Shutterstock. And in the above I haven’t even included some of the more traditional areas that people visit like Puno and Lake Titicaca (a week could be spent on Lake Titicaca alone) and the Amazon jungle. This goes back to philosophy – do you want to just see a small sample of each country or do you want to get a more detailed taste of a few countries. If you see South America is a one-time trip then the first option (3-5 weeks) may be better suited to you. If you see South America as a 2-3 visit destination then biting off chunks and doing them properly is a much better way to do it (means you spend less time and money on flights too). Contact Chimu Adventures to get more information about your perfect trip to South America. Looking to explore South America? 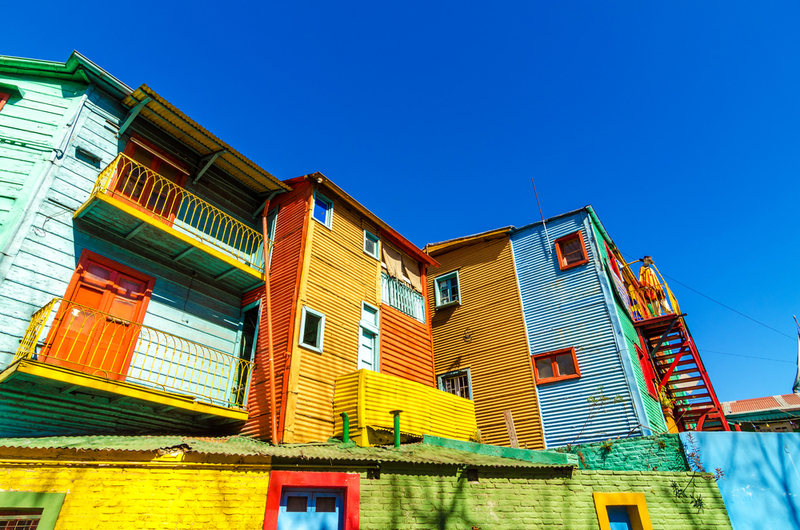 This 21 day loop covers the best of Argentina, Brazil, Peru and a taste of Chile.